Allison V. Smith worked as a photojournalist before pursuing fine art photography. Giant, July 2016, McCamey, Texas is an excellent example of Smith’s twenty-year exploration of the landscape, light and personality of West Texas. The photograph is named after the 1956 film, Giant, starring James Dean as a rancher turned oil tycoon. 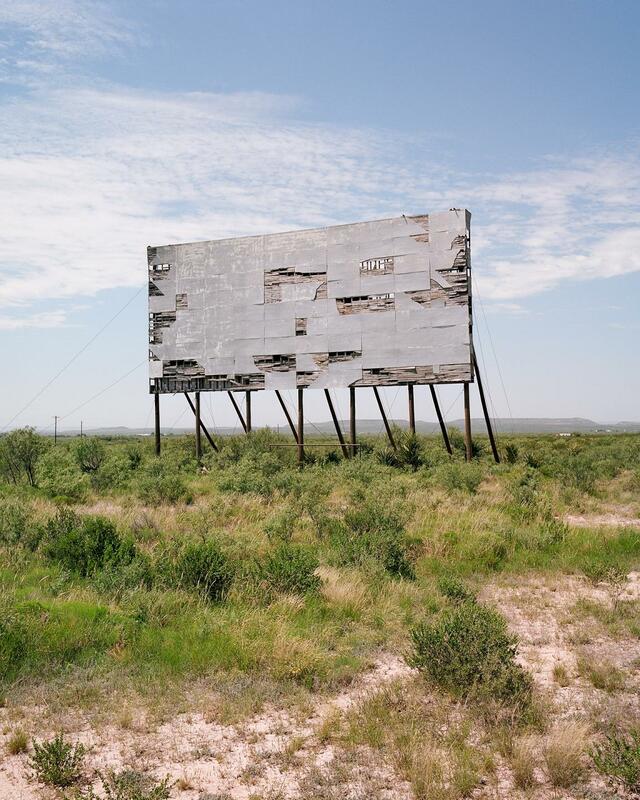 This photograph depicts a decaying drive-in movie theater, a subject Smith has been continually drawn to in McCamey, Texas. Allison V. Smith (b. 1970) graduated from Southern Methodist University, Dallas, Texas with B.A. Journalism, 1993. Lives in Dallas, Texas.